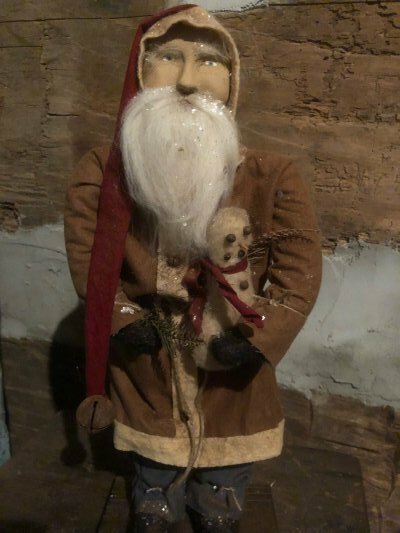 This Santa is wearing a brown coat and holding a snowman. He stands approx. 19"
Arnett's Santa Mustard Coat Holding Stocking and Bell 19"
Arnett's Solid Red Adult Stocking 32"